A TOP BRITISH fashion house was hit with its second discrimination lawsuit this year after a Hispanic saleswoman said she was forced to endure ethnic and personal slurs for a decade. Moselle Blanco, a former saleswoman at Alexander McQueen’s flagship store in Manhattan, accuses her bosses of calling her names like “burrito face” and “Goya princess,” and turning a deaf ear to her complaints, in a lawsuit filed Wednesday in Manhattan Supreme Court. Blanco says one sales manager in particular, Max Cantey, singled her out, spreading vicious rumors about her over her decade-long career at the designer store, according to court papers filed Wednesday in State Supreme Court. Cantey said Blanco had “greasy hands like a Mexican,” and told her not to touch the furs because she would get oil on them, according to the papers. He also allegedly claimed she was drunk at work, she gained weight easily and had a claw foot. The monstrous manager would also call her “taco smoke,” among the other derogatory nicknames, if Blanco answered the phone before he could, Blanco claims. Calls to the company and to Cantey for comment were not returned. For years, Blanco said, managers “made light” of her complaints. Others said the insults were just a byproduct of the “brother-sister” relationship that Cantey and Blanco shared, according to court papers. While one manager also named in the suit blatantly ignored Blanco’s complaints, Cantey responded by spreading lies that she stole store inventory, and even claimed she did cocaine in the bathroom, according to the court papers. A lawyer for Blanco did not return calls for comment. A black security guard filed a lawsuit against the company in July, claiming he was so distraught at his treatment by different bosses in the company he wanted to hang himself. 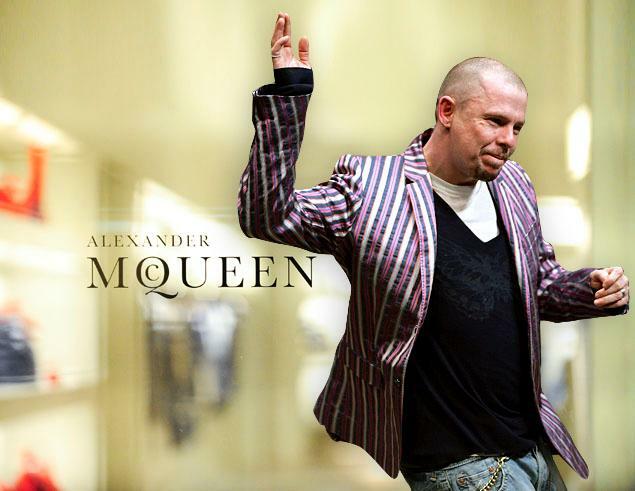 McQueen, 40, committed suicide in 2010 in his luxury London apartment. He dressed celebs and fashion icons like Michelle Obama, Penelope Cruz, Lady Gaga and Sarah Jessica Parker.